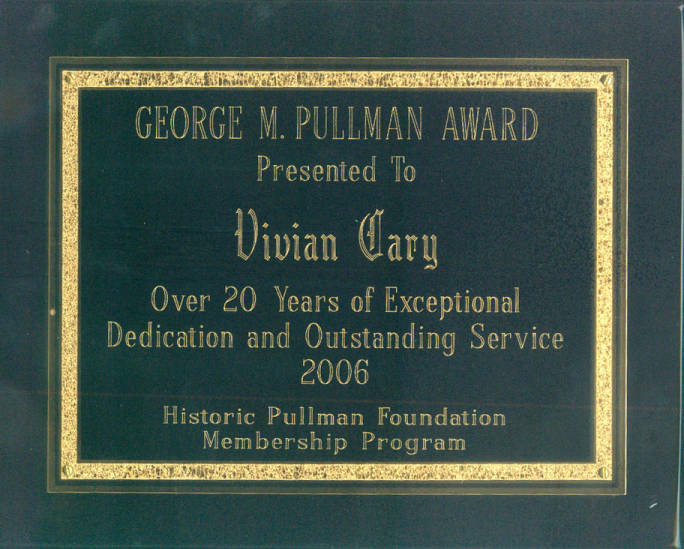 Plaque awarded to Vivian Cary for outstanding service to the Historic Pullman Foundation. Dated 2006. 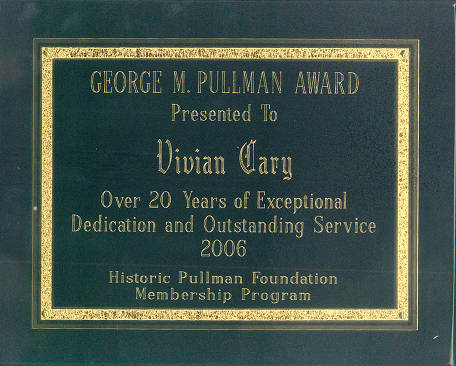 Description Plaque awarded to Vivian Cary for outstanding service to the Historic Pullman Foundation. 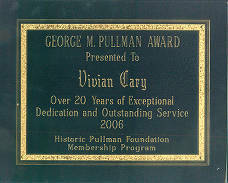 Dated 2006.